BEING THE TEXT OF A JOINT PRESS CONFERENCE ADDRESSED BY KOWA PARTY, OGUN STATE BRANCH IN CONJUNCTION WITH YEWA COLLECTIVE ACTION MOVEMEN, YECAM AND COALITION OF UNITED POLITICAL PARTIES, CUPP IN ABEOKUTA, OGUN STATE THIS 17TH DECEMBER, 2018. 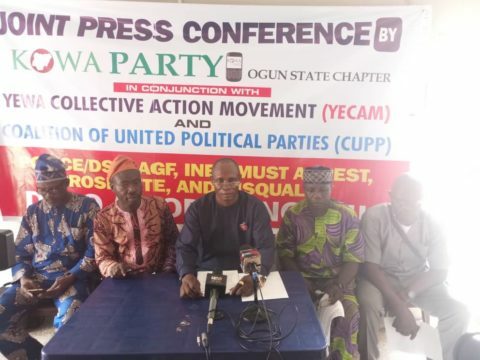 One of the major political parties in Nigeria, KOWA Party in conjunction with Yewa Collective Action Movement (YECAM) and Coalition of United Political Parties (CUPP) in Ogun State has called on security agencies to immediately arrest the governorship candidate of the All Progressive Congress (APC) in the state for allegedly skipping his mandatory one year National Youth Service Corp (NYSC), alleged perjury and forgery among other things. The coalition alleged that Mr Dapo Abiodun never graduated from any Nigerian University, adding that his claim in 2015 as being a graduate with a Bachelor’s degree in accounting in 1989 at 26 years of age is not only fraudulent and false but also allegedly criminal. 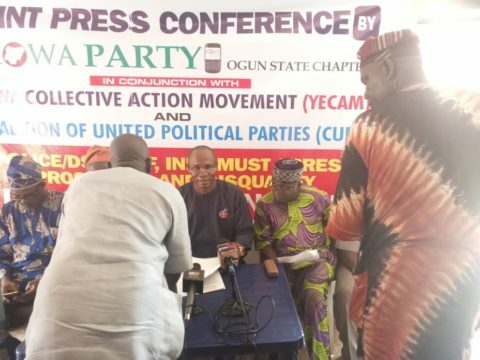 In a widely attended Press Conference which held in Abeokuta, Ogun State earlier today, the groups in a statement jointly signed by the Chairman of KOWA Party in the state, Prince Adefemi Omoniyi, KOWA Party governoship candidate, Mr. David Oduntan, CUPP 2nd National Spokesman and Convener, Yewa Collective Action Movement, YECAM, Comrade Mark Adebayo, said it has a duty to add voices to the daily expanding alleged scandal published by several news media against the APC guber candidate. 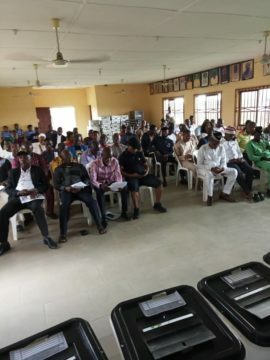 “As critical stakeholders in the election, we have a duty to add our voices to the daily expanding alleged scandal published by several news media about the Ogun State APC governorship candidate for the 2019 governorship election, Adedapo Abiodun, with a view to nipping it in the bud before it’s too late,” the statement reads. Ladies and gentlemen, it has become a public knowledge as published by several news media that the Ogun State APC governorship candidate for the 2019 governorship election, Adedapo Abiodun, is currently enmeshed in certificate scandal at the moment. Therefore, as critical stakeholders in the election, we have a duty to add our voices to the daily expanding scandal with a view to nipping it in the bud before it’s too late. 1. Dapo Abiodun had claimed in his filings with INEC while running for the Senate in 2015 that he had attended and graduated from the Obafemi Awolowo University, Ile-Ife at the age of 26 years. The question is why did he not do his mandatory Youth Service which carries a fine and a prison sentence in Nigeria’s extant laws? And if he did not, it means, legally speaking, that he has no right whatsoever to hold or run for public office. 2. According to available records, it has been alleged that Dapo Abiodun never graduated from any Nigerian University. Therefore, his claim in 2015 as being a graduate with a Bachelor’s degree in accounting in 1989 at 26 years of age is not only fraudulent and false but also criminal. 3. The Heyden website, a company owned by Dapo Abiodun, claims that he obtained degrees in both engineering and accounting and implies that he even obtained his engineering degree before his claimed accounting degree. 4. The current filing of Dapo Abiodun with INEC as a governorship candidate deliberately and deceptively avoided adding his university qualifications into his Form CF001 to INEC. What suddenly happened to his degrees that he so publicly claimed in 2015? The implications are that if Dapo Abiodun graduated in from Ife in 1986 and obtained B.B.A. (hons) Accounting but refused to serve at the NYSC, he has committed a crime. If he didn’t have the degree as he claimed, he has equally committed a crime under Nigerian extant laws. In an affidavit he swore to, he had claimed that he obtained another degree at Kennesaw State University, Atlanta, Georgia in the US in 1989. In his official CV, he claimed to possess another B.Eng (hons) in engineering. The legal issues involved here to which we want Nigerians in general and Ogun state indigenes in particular, the security agencies and INEC to hold Mr. Dapo Abiodun accountable to are: criminal brech of public trust, Forgery, Perjury, perverting the cause of justice by manipulating his way to emerge governorship candidate of his Party, lying on oath which is a criminal offence, failure to disclose on oath, making false declarations, obtaining by fraud, breach of his Party’s Constitution, breach of his Party’s Guidelines on Gubernatorial primaries, fundamental violation of Nigeria’s Constitution and Electoral laws, et cetera. 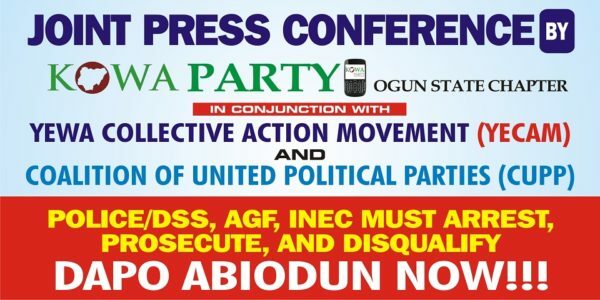 We affirm that the natural and necessary consequence of these violations is the disqualification of Dapo Abiodun and the APC from participating in the 2019 governorship election in Ogun State. We condemn the unwarranted and shameless interventions of the Bourdillon Emperor in the political engineering of Ogun state having himself been enmeshed in the Chicago University scandal in 1999. Like political godfather, like political godson. 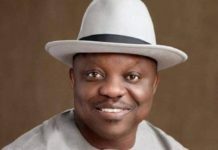 We call on fellow Ogun state indigenes to reject this impostor and fraud imposed by force on us by the powers that be in Bourdillon, Aso Rock and the fraudulent Oshiomhole connection. 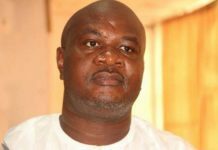 It is a misfortune and totally unacceptable and a big slap in the face that it was because of a man of questionable character that Yewa was pushed out of contention in the political scheme of things in the APC vis-à-vis the 2019 governorship election. It is unfortunate that President Muhammadu Buhari who claims to be fighting corruption could tolerate fraudulent characters around him. Obviously, the presumed integrity of President Buhari has severely disintegrated. We hereby call on the Inspector-General of Police, the Department of State Services and the Attorney-General of the Federation to immediately commence the process of investigation, arrest, and prosecution of Dapo Abiodun and his disqualification and the APC by INECfrom contesting in the 2019 governorship election in Ogun State. Prince Adefemi Omoniyi, Chairman, KOWA Party, Ogun State. BrandAfriq is your brands and business website, we bring you the best of brands and business stories.